When we think of lasers, we often think of sci-fi movies and futuristic weapons. As well as being a part of science fiction, though, they are also very much a part of science reality. They are already with us and have been used in a practical manner for some time. Lasers are basically just highly focused beams of light. This beam of light means concentrated energy, and this will cause things to heat up. While we may not have laser cannons and laser blasters, yet, lasers are still often found in industrial and commercial settings. They are great for cutting, and there are different processes involved. As the energy from the laser heats and melts the material, a co-axial jet is used to help expel the molten material. This creates a kerf, which is the technical term for a slit or notch in the material. This allows us to cut through material with relative ease and with incredible precision. There are three main types of co-axial jet used in laser cutting. 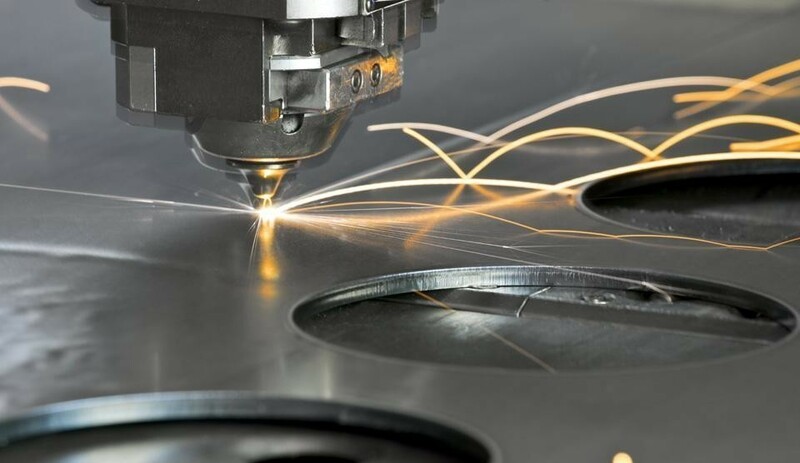 Fusion laser cutting uses a jet of inert gas to help expel the molten material from the kerf to complete the cut. An inert gas such as nitrogen is typically used for this task. Nitrogen does not react to the heat of the molten material meaning it only contributes to helping force the molten material from the kerf physically. Flame laser cutting is similar to fusion laser cutting, only a different type of gas is used. The gas used for this task is typically oxygen and oxygen will react to the heat of the molten material. This adds more energy to the process which helps with the cutting in addition to physically forcing the molten material from the kerf. Remote laser cutting does not use assistance from a co-axial jet of gas. Instead, it uses a laser beam of a higher intensity that is able to partially evaporate the material. This process is often used on thin sheets of material. The type of laser process that you will use will depend largely on the job at hand and the tools available to you. Regardless of which specific method you use, laser cutting offers precise and relatively easy cutting of a range of materials. It can also be used on a range of materials, and on jobs of all sizes. If you require any further information, then please feel free to take a look at our other services or contact us on 01924 220 236 and we will be happy to answer any questions that you may have.